Here are just 15 of the many BIG reasons you need to experience Chicago for yourself. Plan your trip now! From gourmet to street, Italian to Taiwanese, the culinary fusion taking place in Chicago is astounding, and there are over 5,195 restaurants to eat your way through. 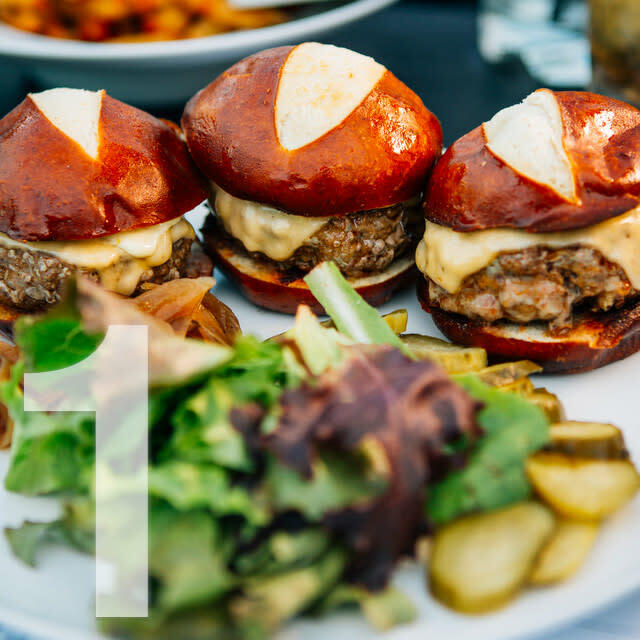 From Michelin star restaurants and 40+ James Beard Award medalists to an overflow of four- and five-diamond winners every year, the dining scene has never been so hot and happening. 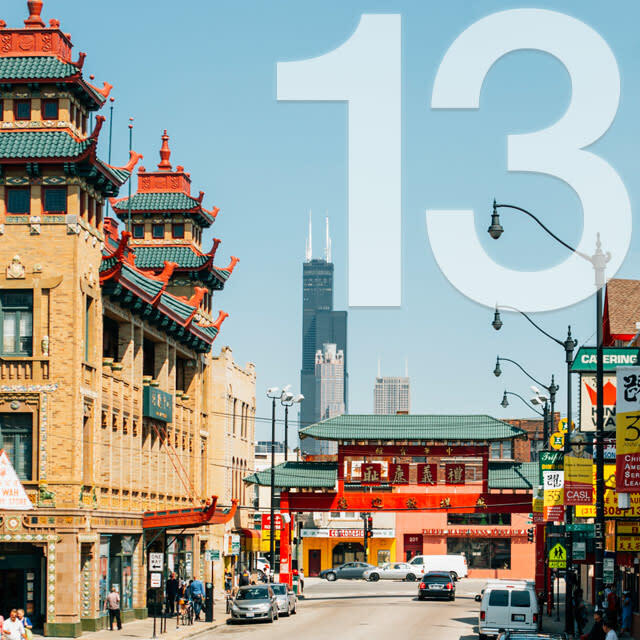 Take a culinary tour of Chicago&apos;s diverse — and delicious — ethnic neighborhood eateries. Hot dining districts like “Restaurant Row” on Randolph Street and neighboring Fulton Market in the West Loop boast some of the nation&apos;s most respected chefs, including Top Chef alum Stephanie Izard and her concepts, Girl and the Goat, Little Goat and Duck Duck Goat. Meanwhile, areas like Logan Square and River North continue to add buzz-worthy, hip restaurants and bars to their lists. Also take a bite out of Restaurant Week (January 26-February 8); sample one of 25+ summer food festivals, including perennial favorites Taste of Chicago (July 11-15) and Chicago Gourmet (September 28-30); savor Chicago’s top 3 classic foods: Chicago-style hot dogs, deep-dish pizza and Italian beef; and visit one of the city’s bustling farmers markets: Green City Market and Logan Square Farmers Market are two top picks. There&apos;s a brewing renaissance happening in Chicago, and beer-drinkers are the happy beneficiaries. The craft beer explosion is one reason why GQ Magazine named Chicago the "Greatest Drinking City in America." 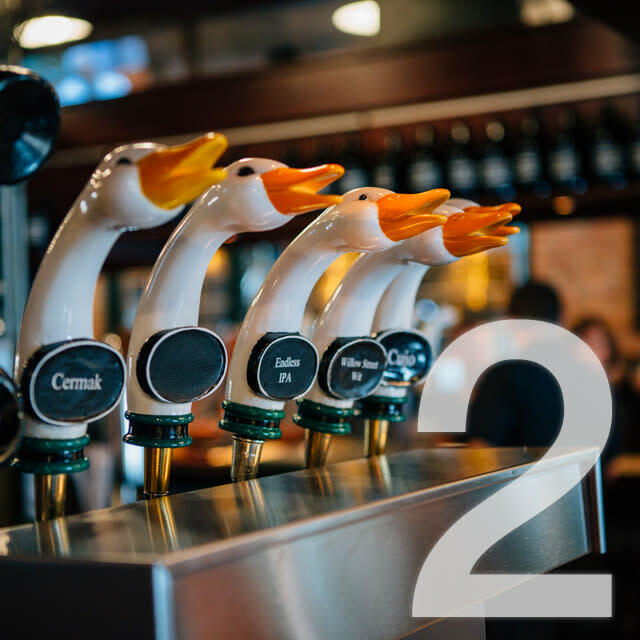 A host of Chicago breweries and beer-centric bars leave craft brew fans intoxicated with options, from the sprawling Lagunitas Brewery and hip Fulton Market tap room to famed Goose Island. Specialty beer tours are a ready-made primer, while over 30 annual beer festivals and tasting events include Chicago Craft Beer Week (May) and the sell-out Festival of Barrel Aged Beer (September). Also, during the summer months, Chicago Friday Night Flights highlight the best of the Chicago craft beer scene through a bi-monthly tasting event showcasing neighborhood breweries. One of Chicago’s greatest achievements is its skyline, complete with architectural stunners such as the Wrigley Building, 875 N Michigan (formerly the John Hancock Center) and Tribune Building (with its famed facade punctuated with stones from historic buildings around the world, such as the Taj Mahal and Parthenon). Float down the Chicago River on an architectural boat tour by kayak or cruise ship, or go sky high via helicopter to take it all in. The Chicago Architecture Center, for one, offers 85 tour options an astonishing 6,000 times a year. Alternatively, thrill-seekers can venture onto the glass-bottomed Ledge at Skydeck Chicago, 103 floors up in the Willis Tower. Or they can take in panoramic views from the 94th floor of the TILT experience at 360° CHICAGO (formerly John Hancock Observatory). And if you get your Chicago CityPASS, you&apos;ll save 50% on VIP admission and skip the ticket lines. The CityPASS allows admission to five of Chicago’s top attractions, including the Museum Campus’ Shedd Aquarium, Field Museum and Adler Planetarium, the Museum of Science and Industry and the Art Institute of Chicago. 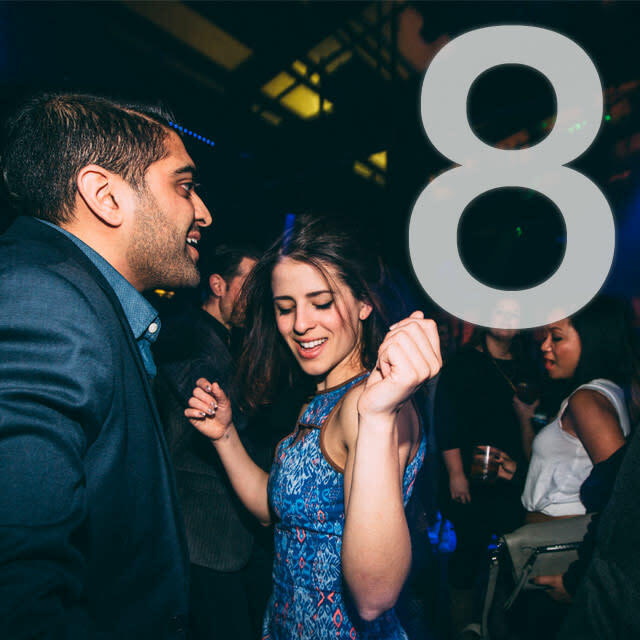 CityPASS is valid for nine consecutive days, starting with the first day of use. It&apos;s not all about skyscrapers, though. Venture to suburban Oak Park, just 10 miles from the downtown Loop, to see more examples of the work of Frank Lloyd Wright than anywhere else in the world. See the evolution of his famed Prairie style by tour with the Frank Lloyd Wright Trust. 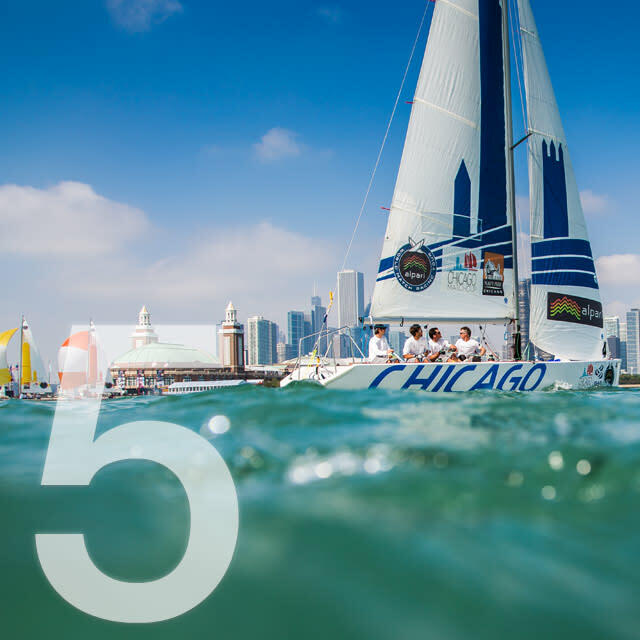 Save up to 45% on admission to over 25 top Chicago attractions with Go Chicago Card. 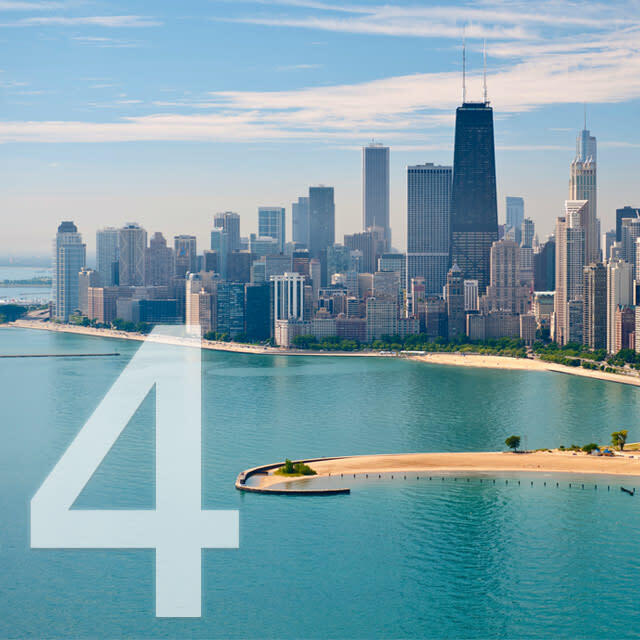 Choose the number of days you wish to use the pass from 1, 2, 3, or 5 calendar days in a row and enjoy exploring Chicago’s best sights. Visit top attractions like the Shedd Aquarium, Shoreline Architecture River Cruise, 360 Chicago and more. Passes must be used within a year of purchase and are activated once you visit your first attraction. The lakefront is hopping in the summer (Memorial Day to Labor Day), as Chicagoans take to 26 sandy beaches to worship the sun, workout and picnic. Kick back with a cool beverage at Montrose Beach, play volleyball at lively North Avenue Beach, let the kids run wild at 31st Street Beach or soak up the sun at peaceful 63rd Street Beach. Tip: Rent a Divvy bike on Chicago’s 18-mile long Lakefront Trail to see even more, or take a more leisurely stroll and snap skyline pictures along the way. Chicago&apos;s sports history runs as deep as its fans&apos; passion. This baseball season, take in 100+ years of history at Chicago Cubs stadium Wrigley Field, and catch the 2016 World Champions at a game; or venture to Bridgeport, home of Guaranteed Rate Field and the Chicago White Sox. Get here to catch playoff season for the Chicago Bulls and Chicago Blackhawks at the United Center. Or watch the Chicago Fire play at Toyota Park all through the spring and summer. Chicago is a city of green spaces, whether you&apos;re wandering the lakefront or venturing into the city&apos;s diverse neighborhoods. In fact, there are over 500 gardens to explore. In hip Bucktown, Wicker Park, Logan Square and Humboldt Park, for instance, you can trek the The 606, an innovative 2.7-mile elevated park trail born of a disused train track. Set above the city streets, you can make stops all along the way to experience the vibe of the city&apos;s trendiest neighborhoods. Heading to the lakefront, Grant Park&apos;s grand boulevards and cultivated expanses make it a must-see. Its newest addition, Maggie Daley Park, is an imaginative 20-acre green space, complete with its own mini-lighthouse, a life-sized ship, two climbing walls, 30-foot Suspension Bridge Towers, a quarter-mile long skating ribbon, an Enchanted Garden of upside-down trees, and several Picnic Groves. Millennium Park is an architectural and art-filled jewel, thanks to the iconic Cloud Gate sculpture (aka The Bean), the whimsy of the interactive Crown Fountain, and the surreal beauty of the Jay Pritzker Pavilion, where free summer concerts are performed and movies screened. Further north lies Lincoln Park, which at 1,200 acres is larger than New York’s Central Park. 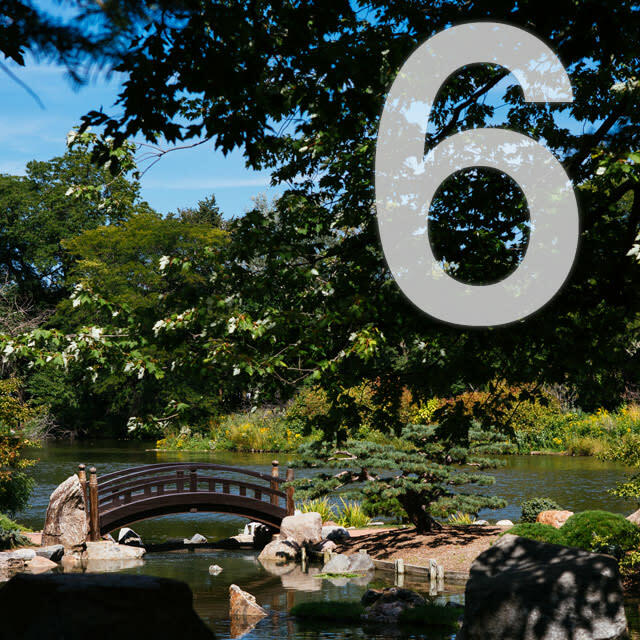 Attractions include Lincoln Park Zoo and Lincoln Park Conservatory, not to mention Chicago&apos;s secret garden, the Alfred Caldwell Lily Pool, a tranquil oasis filled with prairie plantings and birdsong. At South Pond, walk the boardwalk for insight into the regions ecology, and to snap nature in action. 465 Stores in Just One "Magnificent" Shopping District! The 13-block stretch of Michigan Avenue, dubbed The Magnificent Mile or Mag Mile, is home to three indoor malls and 50 flagship stores, among them high-end designers (Burberry, Coach, Louis Vuitton, Chanel), major retail chains (Banana Republic, Disney Store, Nike) and renowned department stores (Bloomingdale’s, Macy’s, Nordstrom). In between bouts of shopping, stop off for Afternoon Tea in the grand Palm Court at the Drake Hotel, or make like you&apos;re in Ralph Lauren&apos;s living room at RL, one of only four Ralph Lauren restaurants in the world. Sip on cocoa at Ghirardelli or stop into the Museum of Modern Art for an artful bite at Marisol. Don&apos;t Sleep Till You Get Home! No stranger to nightlife, Chicago is quite the tippling town. You can go on a never-ending craft cocktail crawl through the city (we mean that figuratively, of course). Some favorite Chicago cocktail bars: underground, tiki-inspired Three Dots and a Dash, splashy, Art Deco-style Celeste, “speakeasy” The Violet Hour, and local distilleries CH Distillery and KOVAL. You can also sip wine like a sommelier at swanky wine bars, shake your tail feather (or whatever else you like to shake) at dance clubs, revel the night away with your pals at after-hours bars, or share a toast to a local team at a sports bar. For drinks with a view, there’s no shortage of rooftop bars. Try NoMI Lounge on The Magnificent Mile, the party scene at ROOF at theWit Hotel, and the Cerise Rooftop at the flashy Virgin Hotel Chicago (rooftop is closed over the winter months). Music emanates from every corner of the city. Chicago&apos;s history is steeped in jazz and blues, with noteworthy venues like Buddy Guy’s Legends, Kingston Mines and Green Mill Jazz Club (founded in 1907), on every music-lovers wish list, not to mention the annual Jazz Festival (celebrating its 40th year in August/September), Blues Festival (June 8-10) and World Music Festival (September 7-23). 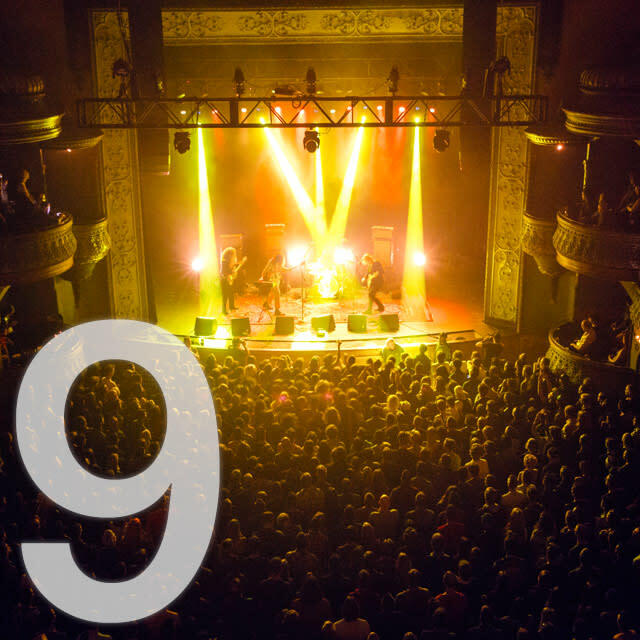 Newer venues adding to the music landscape include Thalia Hall, a Pilsen landmark and indie haven, and The Promontory, home to jazz, R&B, folk rock, soul and more in Hyde Park. Head outside to Millennium Park for lunchtime and evening performances at the nation’s only free outdoor classical music series, Grant Park Music Festival (June-August). The Millennium Park Music Series draws eclectic crowds for its alfresco summer shows — also free! — which showcase electronica, indie rock and jazz. Best of all, they perform at Millennium Park&apos;s jewel in the crown, the Jay Pritzker Pavilion. Mega fests Lollapalooza (August 2-5) and Pitchfork (July) both recently celebrated 10 years in Chicago; on the opposite end of the spectrum, there&apos;s the Grammy Award-winning Chicago Symphony Orchestra; while the Chosen Few Picnic & Music Festival a.k.a. the "Woodstock of House Music" honors the Chicago-born genre. Chicago is a city that celebrates everything from fine art to the fringe movement, craft beer to cultural heritage — and it does it with festivals and parades! 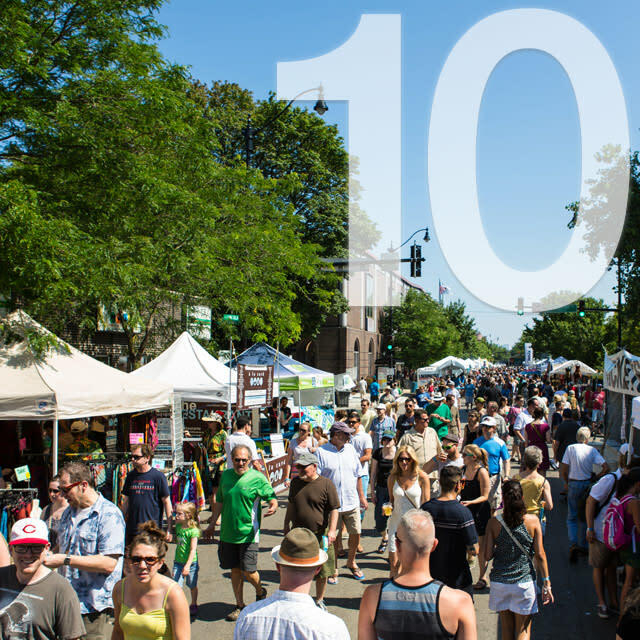 From spring to fall, neighborhood street festivals welcome you every weekend. Bring your appetite, especially if you&apos;re going to the Roscoe Village Burger Fest (July) or the Pilsen Food Truck Social (June). Salsa and swing through Chicago SummerDance (June 28-August 25), the largest annual outdoor dance series in the United States. Or scan the sky for jets at the oldest and largest free air exhibition of its kind, the Chicago Air & Water Show (August 18-19). 2018 also sees the launch of a year-long City of Chicago initiative, Year of Creative Youth, which will include a Year of Creative Youth Festival across the Millennium Park Campus (September 22), showcasing youth artists in dance, theater, music, spoken word, the visual arts, and more. For more on festivals and parades, check out #9 and #14 on our list. Nearby, Chicago&apos;s Museum Campus brings an impressive trifecta of attractions to the lakefront: Beginning February 28, witness the painstaking installation of Titanosaur, possibly the largest land dinosaur known to man, at The Field Museum, meet the beluga whales at Shedd Aquarium and journey through the expansive universe at the Adler Planetarium. Further south, the Museum of Science and Industry is the biggest science museum in the Western Hemisphere. Grapple a tornado, see a U-boat and go deep down into a coal mine, among other unique experiences. Gallery spaces are lined with rotating exhibitions at the Chicago Cultural Center, a piece of art itself worth a visit (for one thing, you&apos;ll see the world&apos;s largest Tiffany stained-glass dome). 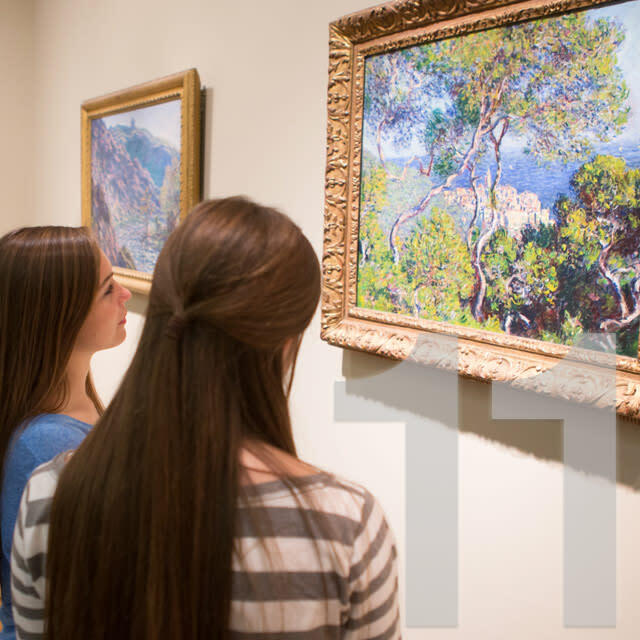 And at 90 art galleries and 20 art centers, discover the innovative work of local, national and international artists. Not only that, but you can take to the streets to see 700+ public art works, including a Picasso, a Calder and a Miro. Arts districts such as River North, Pilsen and Bridgeport pack in multiple stops, while you can use special open house events like First Fridays to build your itinerary. Even bigger events such as EXPO Chicago (September 27-30) and SOFA | Sculpture Objects Functional Art and Design (November 1-4) are just two of the highlights for the year. Most notable in 2018, the city hosts ArtDesign Chicago, a year-long "spirited celebration of the unique and vital role Chicago plays as America’s crossroads of creativity and commerce." With five regional Tony Award®-winning theaters (Chicago Shakespeare Theater, The Goodman Theatre, Lookingglass Theatre Company, Steppenwolf Theater Company and Victory Gardens Theater), Chicago takes center stage in theatrical productions. Blockbuster musicals by Broadway In Chicago, acclaimed touring productions, independent stories from emerging playwrights — it&apos;s all here, with 200 theater companies to entertain you. For an evening of laughs, turn to the comedy masters at The Second City, ComedySportz Theater, or iO Chicago Theater, watch stand-up routines at Zanies Comedy Night Club, or opt for a multi-sensory interactive experience at Blue Man Group. Want a little theater with lakeside views? Add the new and improved Theater on the Lake to your list. And if you&apos;re in the mood for something a little different, head to Chicago&apos;s fringe and experimental groups, including Walkabout Theater Company, Chopin Theatre and The Storefront Theatre. To take in the Chicago theater scene at discounted prices, plan your trip around Chicago Theatre Week (February 8-18). 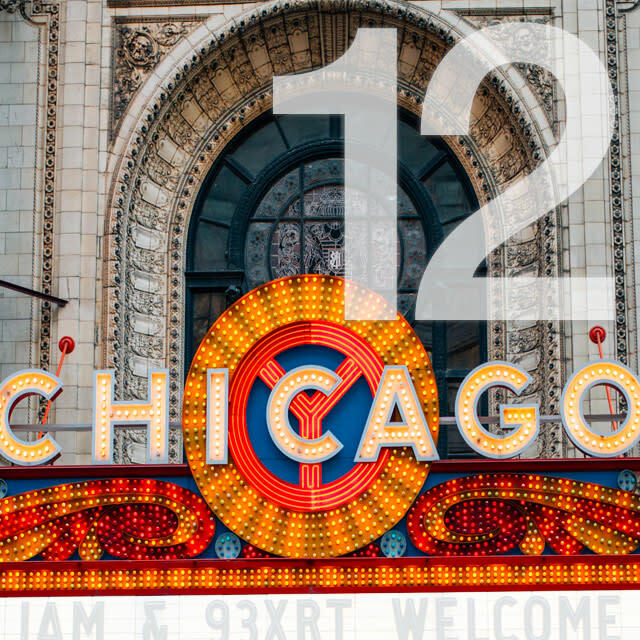 You&apos;ll have the opportunity to choose from more than 120 productions and sample the extraordinary range of theatrical offerings in Chicago. The heart and soul of Chicago lives in its many vibrant neighborhoods. The city&apos;s 77 distinct communities showcase their own flavors, customs, festivals and attractions. From the diverse, family friendly Edgewater to the north, to the historic cultural institutions of Hyde Park to the south, and the Mexican-influenced Pilsen to the west, there are so many unique neighborhood highlights to explore. Chicago is a melting pot of hundreds of different ethnicities and cultures. Enjoy the booming cultural scene in traditionally Irish-American Bridgeport, explore the shops, restaurants and bars of LGBTQ-friendly Boystown and Swedish-influenced Andersonville, delve into Chicago&apos;s rich African American history in Bronzeville, browse the Chinese and Vietnamese shops on Argyle Street in Uptown, or grab samosas and try on a sari in "Little India" on Devon Avenue in Rogers Park. 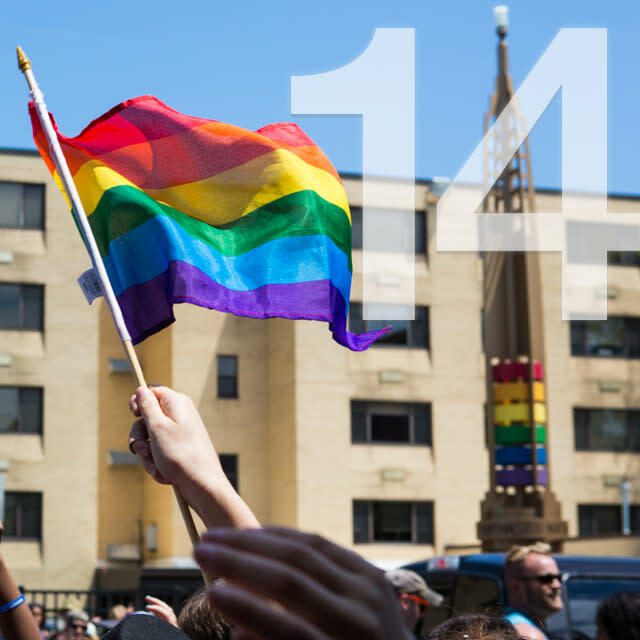 Chicago is home to some of the largest LGBTQ celebrations in the country. Throughout our many diverse neighborhoods, you&apos;ll find TAG-approved hotels and wedding venues, plus a pride-filled calendar of special events. For a distinctly LGBTQ experience, spend some time in the lively neighborhood of Boystown and its epicenter on Halsted Street. With eccentric boutique shopping, streets adorned with colorful pylons and one of the largest lesbian, gay, bisexual and transgender communities in the United States, this East Lakeview neighborhood has an energy all its own. For the ultimate Boystown experience, plan a summer trip during the neighborhood&apos;s banner events, Chicago Pride Fest and Pride Parade (June) or Northalsted Market Days (August), which attract more than one million spectators and visitors. The quirky North Side neighborhood of Andersonville is rich in Swedish tradition and home to a robust gay and lesbian community. 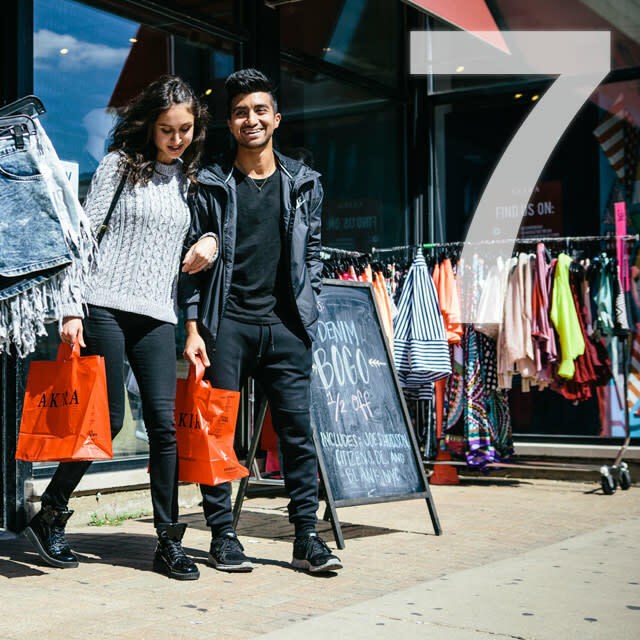 Andersonville&apos;s charming commercial district is comprised of independent, locally owned businesses, from specialty bakeries and innovative restaurants to stylish boutiques and theme-focused gift shops, many of which are located along Clark Street. 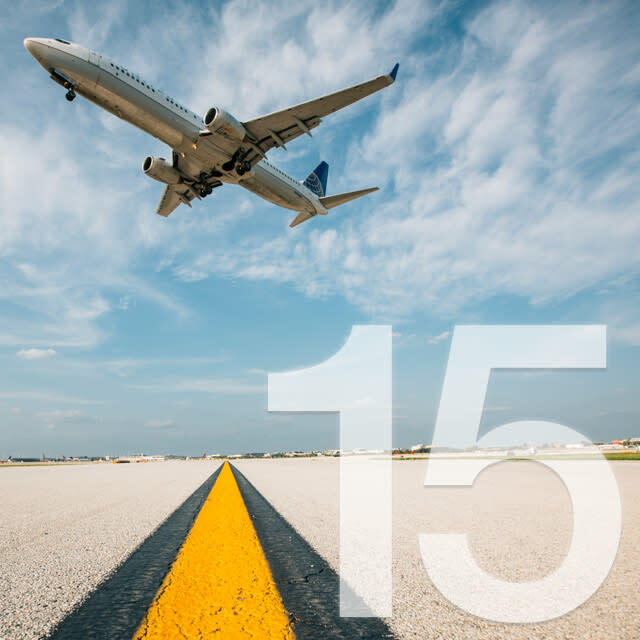 Getting into — and out of — Chicago is a breeze, thanks to award-winning O&apos;Hare and Midway international airports; frequent passenger service with Amtrak trains; and a network of major highways. 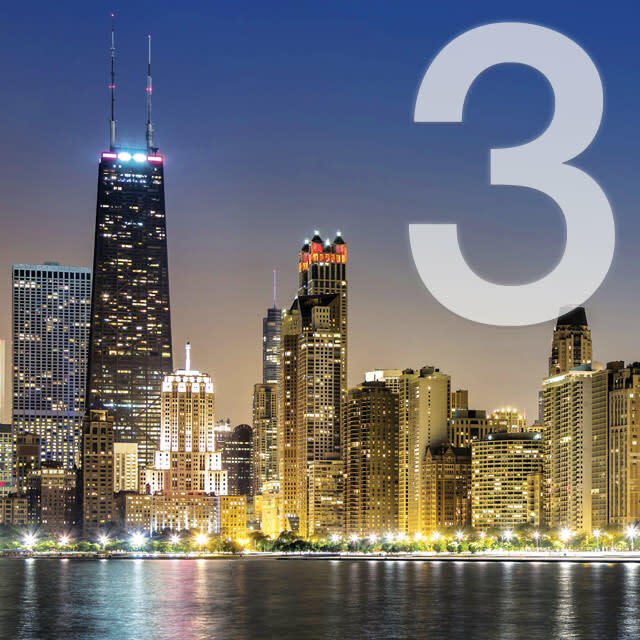 Situated squarely in the center of the country, Chicago is accessible from virtually anywhere. The city&apos;s booming hotel industry makes for plenty of accommodation options, from the intimate to the extravagant, and the hip to the traditional. Stay in one of the city&apos;s grand dames, such as the newly reopened Ambassador Chicago and historic Drake Hotel, or head to the "IT&apos; hotel in the "IT" neighborhood, The Robey in Wicker Park, named one of the "Best New Hotels on the Planet" by Travel + Leisure.